In the summer edition of Berliner Wein Trophy, the company gets 8 Gold medals and 3 Silver medals, which are added to the previous edition of this competition held in February. Also, Felix Solis avantis has been recognized as Best Spanish Wine Producer for the fourth time. 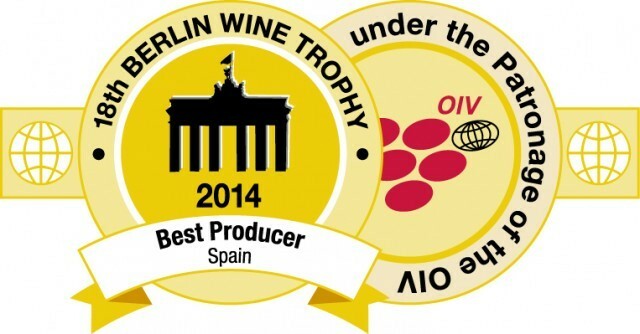 Berliner Wein Trophy us the first competition under the International Wine and Vineyard Organization. In the latest years, this competition has become one of the most important in Germany and in the world with more than 3,500 wines from all over. This competition is held twice a year in order to taste all the current vintages in the markets. Of the 18 medals at the Berliner Wein Trophy this year, 14 of them are Gold: Viña Albali Gran Reserva de Familia, Analivia Sauvignon Blanc, Condado de Oriza Reserva, Finca La Meda Alta Expresion, Bajoz Crianza, gran Bajoz, Castillo de Albai Crianza, Caño Alta Expresion, Castillo de Albai Reserca, Los Molinos Gran Reserva and Viña Albali Reserva. Silver medals were awarded to Castillo de Albai Crianza, Viña Albali Crianza, Ayrum Rosé, and Blume Verdejo. Felix Solis Ramos, Marketing and International Sales Director, declares: “we are very proud of the results of this and other competitions. This encourages us to work harder everyday to be able to offer consumesr the best quality in our wines”.